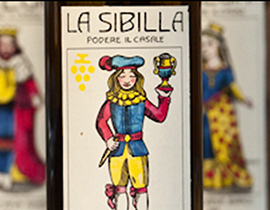 In the year 2010, wine was the last addition to the product family of Podere Il Casale. (This for the time being). In fact, we have been pressing grapes each year since 1991, but our real grape cultivation dates only from the year 2000, when the vines of Podere Lignano in the vicinity of Podere il Casale were placed into our care. For us, seen from the agricultural viewpoint, it is a very important line of production. 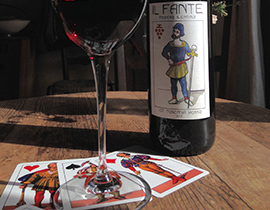 Considering the numerous wine producers in Tuscany between Montepulciano and Montalcino, with a very high level of wine-culture and quality, all rivalling with each other, it seemed to us that the pressing of grapes by an outside professional, Thomas Wulf, was the right approach. The grape variety Incrocio Manzoni is the true speciality of our vines. It is a cross between the Rhine riesling and the pinot blanc grape, first experimented by Professor Manzoni in the 1930s. When Thomas Wulf first planted this variety in Pienza, it was a novelty in Tuscany. 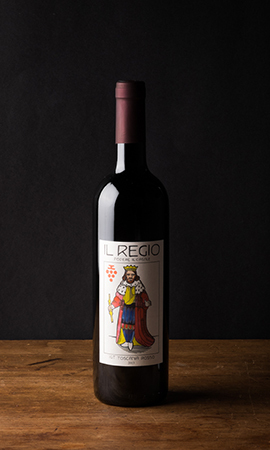 Together with the oenologist Alberto Marini, Thomas Wulf was successful in the vinification of this atypical grape for the region, producing a pure-variety white wine: La Regina, as well as an assemblage with Trebbiano:La Sibilla. These wines are not only ready for drinking young, but can also be laid down. The strength of the small concentrated grape, which can be harvested already at the end of August, due to our dry climate and heavy clay soil, produces an aroma which is unique for the white wines of Italy.